Your donations support and sustain our worldwide Mission on five continents. 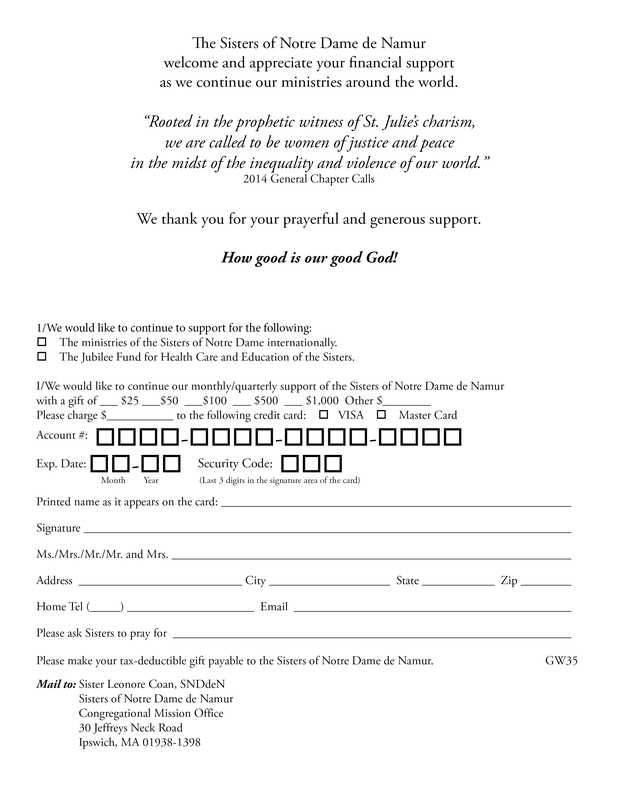 The Congregation of the Sisters of Notre Dame de Namur (SNDdeN) is a charitable institution with 501©3 Status in the United States. Contributions support our Mission in a variety of ministries across the world. How to support our Mission?